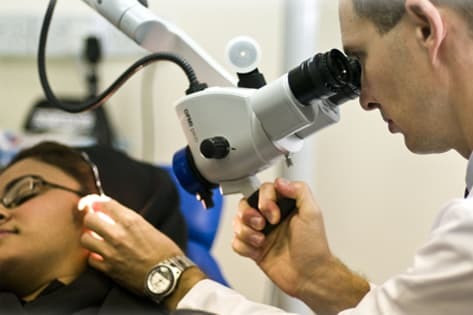 Otolaryngology, also popularly known as ENT, is the medical specialty that deals with the disorders of the ear, nose, throat, and related parts of head and neck. As one of the best hospitals for ENT treatment in Kochi, we offer the services of a team of experienced specialists to provide effective clinical and surgical care for all common conditions that affect the structures of the head, neck and face. Over the years, we have included more sophisticated surgical procedures like endoscopic sinus surgery, stapedotomy and phonosurgery. Coblation surgery has been recently introduced in the hospital for ENT procedures. This advanced technique ensures that there is reduced pain and virtually no blood loss during the surgeries. We also have an early detection program for hearing loss in new-borns and speech pathology services to monitor and treat speech problems among children and adults.